﻿ Doldam Guest House, Jeju Island | FROM $19 - SAVE ON AGODA! "Love the location and our host was fantastic!" Have a question for Doldam Guest House? "Very comfortable and clean room with seaview." 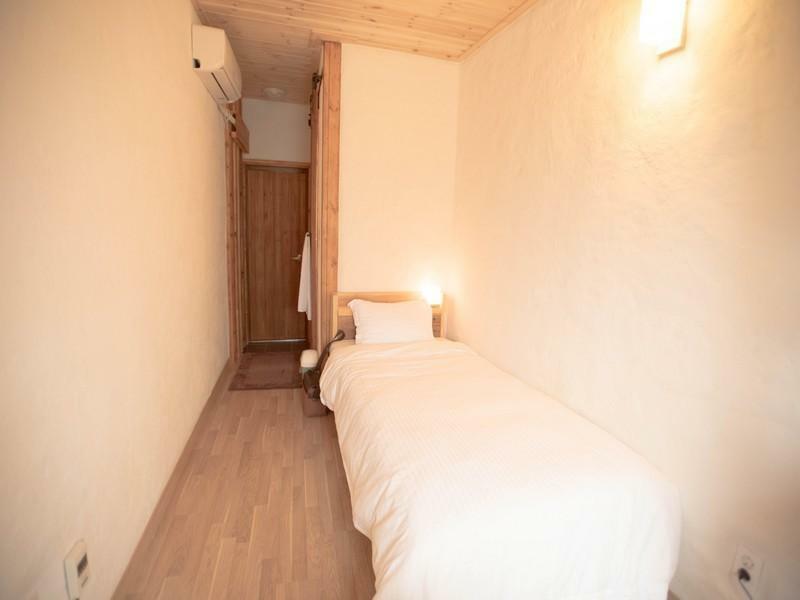 "Love the guesthouse, such pleasant and helpful host of Dol-shi and Sue." "Will definitely come back again soon!" "This was a good place for a big family as well." Whether you're a tourist or traveling on business, Doldam Guest House is a great choice for accommodation when visiting Jeju Island. Set 7km from the excitement of the city, this 1.5-star hotel commands an excellent location and provides access to the city's biggest attractions. With its convenient location, the hotel offers easy access to the city's must-see destinations. The facilities and services provided by Doldam Guest House ensure a pleasant stay for guests. To name a few of the hotel's facilities, there are free Wi-Fi in all rooms, 24-hour security, car power charging station, daily housekeeping, fireplace. In addition, all guestrooms feature a variety of comforts. 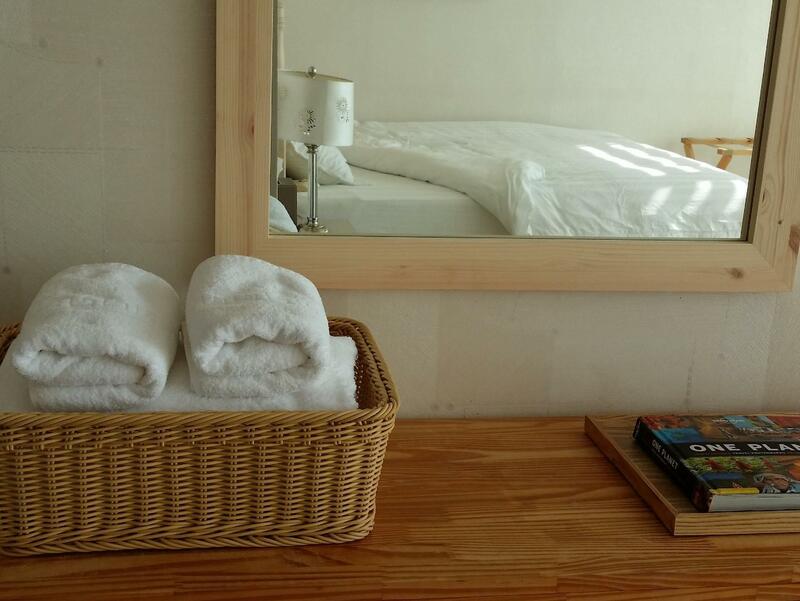 Many rooms even provide additional bathroom, clothes rack, electric blanket, linens, locker to please the most discerning guest. The hotel's hiking trails, golf course (within 3 km), diving, fishing, horse riding are ideal places to relax and unwind after a busy day. 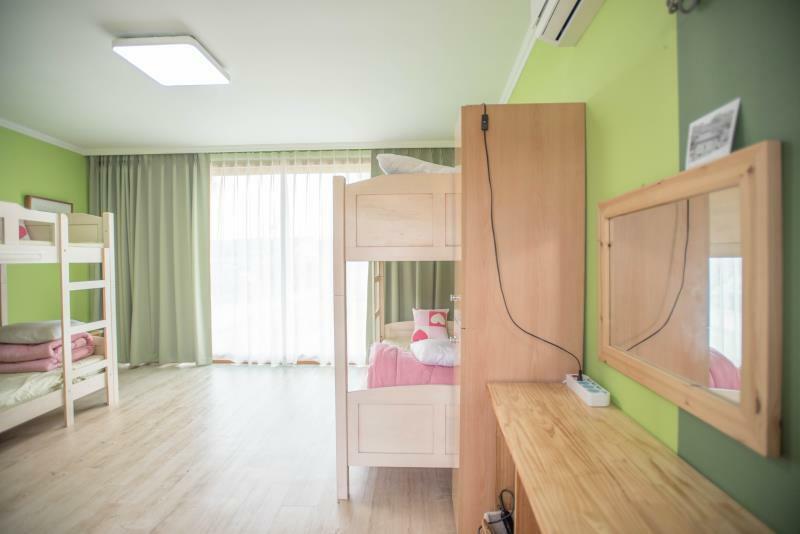 When you are looking for comfortable and convenient accommodations in Jeju Island, make Doldam Guest House your home away from home. "We really enjoyed the warm & cozy atmosphere." I love so much of this guesthouse and wish to stay longer! I’ve been upgraded to family room with a nice balcony view. Host is friendly and kind, he even prepare breakfast for me even though I check-out earlier. Hope to come here again soon! the host are a lovely couple. i highly recommend this place. It was an exceptional stay. Just 3 minutes, you can walk to the nearby seaside and enjoy the phenomenal view (: As the hosts accidentally accepted my place of order despite the booked out guesthouse, they upgraded an initial dorm stay to a pension 😄(walking distance from the guesthouse). The hosts were great enough to guide me steps by steps on how to optimise my time to tour around the island. They were helpful enough to drop me off at my first destination on their way to running errands. The only missing piece is that they dont serve black pork meal anymore. But, they serve great breakfast for free. My wife wants us to buy a similar property. One of the best guesthouses I've stayed in so far!! The breakfast was really delicious, the room and cafe area was really cozy, and the owner was very hospitable!! The location is albeit far from city center, but the view and peacefulness there makes up for it a million times. Oh and they even have a mini library as well!!! Very very highly recommended! Love the guesthouse, such pleasant and helpful host of Dol-shi and Sue. We look forwards to the daily breakfast of homemade herb bread with tangerine spread! Absolute yummy! They were very helpful in assisting with our sightseeing. Will definitely come back again soon! I'd recommend people who wants to see real Jeju island as it is. 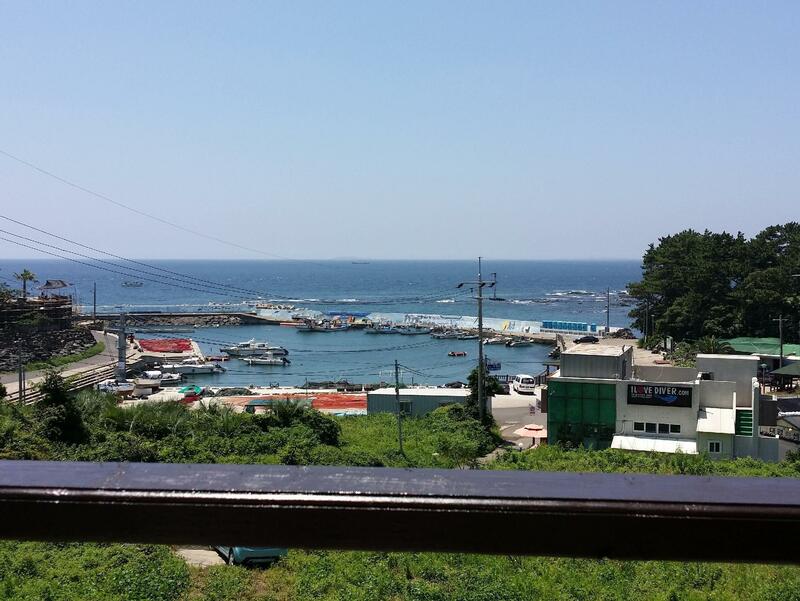 Now a days, Jeju island is being developed and many people are coming to Jeju to enjoy all sort of water sports. Some guest house is holding a BBQ party every night and it is FUN and LOUD. But, if you like a cozy, a relaxing atmosphere and quit place surrounded by landscape, you definitely should visit this guest house. Owner told me Tony Wheeler, co-founder of the Lonely Planet guidebook company, also visited this house. Within a 15~40 mins walking distance, there are many local restuarants with a neat and delicious dishes at a reasonable price. Shower is great and room is clean and nicely soundproof. There is a living room with little library and a cafe place with a ocean view open to visitors! Breakfast is also soooo GOOD~. Home-made Jam, bread, yogurt and home-grown vegetables! There is a carbonated hot springs nearby. You can ask owner and buy a hot springs pass at 50% off price. I'd definitely re-visit here!!! Thank you for your review in detail. Yes, there are several nice restaurants near us, just with in 10 min on foot. Thank you. Really enjoyed my stay here. Sue was a really great host and always helpful in answering any we questions we had as well as suggesting things to do. The homemade breakfast was great too! The guesthouse itself is in a lovely little town slightly outside the main tourist area, so it feels a lot more relaxed. Waking up to the view of the sea each morning is awesome! The room was clean, well equipped and nice and spacious. One thing I'd recommend if you do stay here though is to rent a car or hire a taxi while you're there, as it would make getting around a lot easier. There is a bus stop not too far away and it's not inconvenient to take, but having a car would definitely save you some time. 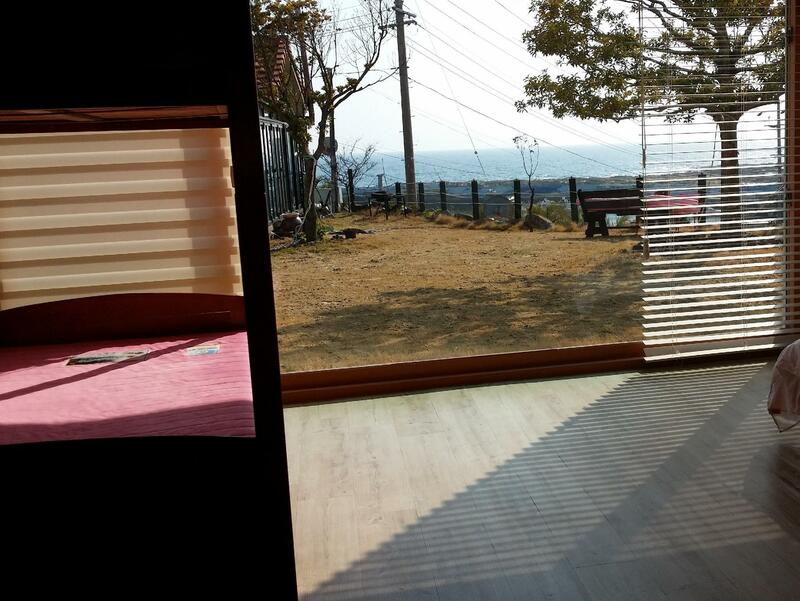 Thanks again Sue and husband, would definitely come back to stay if I'm ever in Jeju in future! We really enjoyed the warm & cozy atmosphere. The big & wide window to the nice garden with a view of the beach and the cliff are stunning. Very nice indeed! I had a very good experience here. Listening to the sea and nature. Fantastic guesthouse! Breakfast is all homemade ! Very comfortable and clean room with seaview. We had a great time here. Host recommeded really good dinner nearby. This was a good place for a big family as well. We were 11 including parents, brother and sister's family. 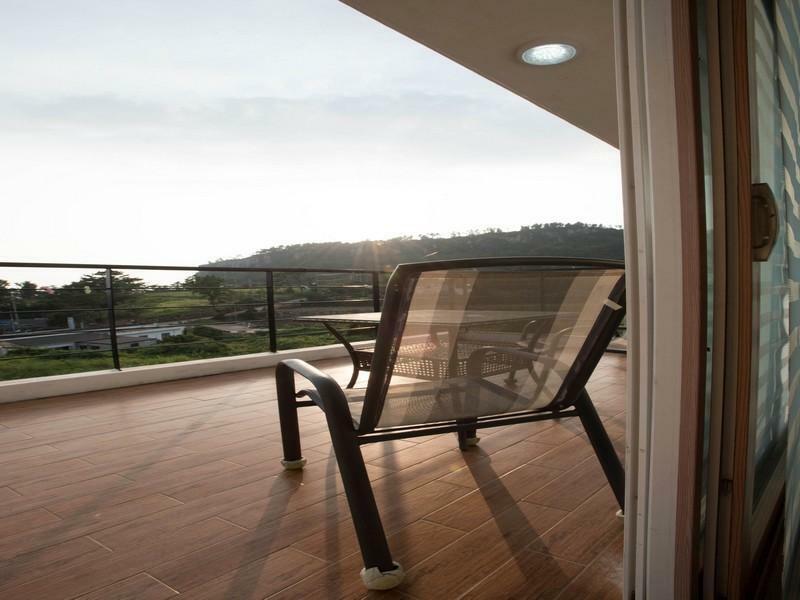 We could stay there with calm neighbors and great views of sea and good sound of the waves. and my father can enjoy fishing at great fishing point during all day. Hosts had good manners, so we can take relaxing time during our stay. Thanks again. Love the location and our host was fantastic! Would def go back. nice breakfast .Clean.But the place isn't easy to find.Dogs are lovely. 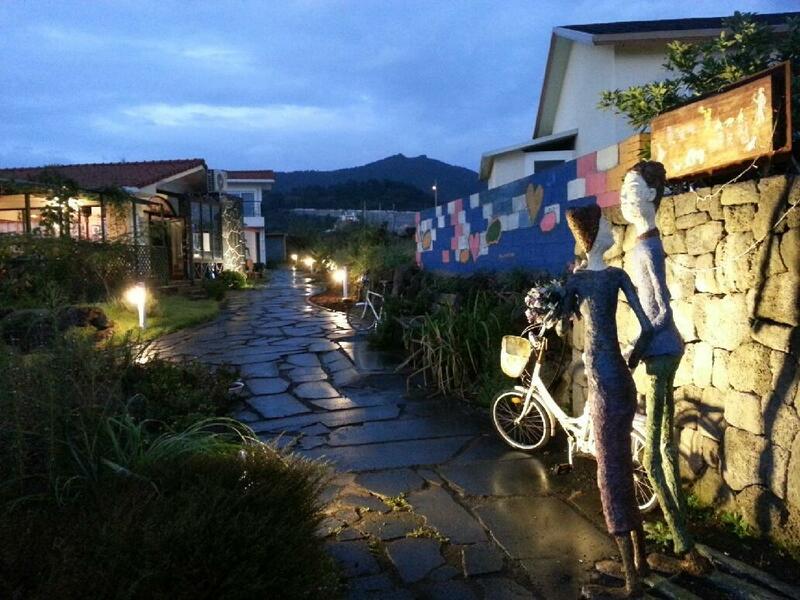 the experience living in Doldam hotel makes the trip in Jeju more unforgettable and enjoyable. the beautiful sea sight ,quiet friendly host who help me get my baggage back patiently and kindly, and the peaceful surroundings , the clean room and so on. the "tattoo" girl always lost her way in Jeju, but anyway found the way back to Doldam.i'll be back ,and see you all! The room was quite clean and nice. Specially the bathroom was very clean. I liked the breakfast they serve, even if the coffee was too weak. ;-) Still, a very nice meal for a guesthouse. The owner didn't look happy to be there, though. The cafe is nice but a little bit messy and not organized. It is a shame, because this guesthouse can be really really cool. The host/owner seems grumpy, but it didn't matter too much. Anyway, overall ok, but I would try somewhere else next time.